As those fortunate enough to live in Cornwall know, it’s the UK’s sunniest and mildest county, so it makes sense that down here in the south west corner of the country everyone likes to enjoy relaxing and entertaining in the outdoors. That’s probably why here at Bude Windows & Conservatories Ltd our deck-building service is in great demand in the local area and beyond. We build beautiful bespoke timber-effect decks in gardens across Cornwall and Devon which not only increase the value of any property, but also enhance the outdoor space and provide the perfect place to dine al fresco or enjoy the sunshine. We build our decks with composite decking boards. These are environmentally friendly products made from reclaimed wood and recycled plastic, using the latest technology. We favour composite decking because it combines the natural look of timber with the durability of plastic, meaning that you get the best of both. The great thing about composite decking is that it looks, feels and can be worked with just like natural wood – sanded, sawed, cut and screwed. Unlike timber decking boards though, composite decking doesn’t need to be treated to withstand the weather. It won’t crack, rot, splinter, warp, twist or shrink like real wood does over time and under adverse conditions. Composite decking is available in a wide range of finishes, so you can choose the shade and wood grain you prefer, and because it is UV stabilised it won’t discolour or fade. It’s also stain resistant, being non-absorbent, so those splashes of gin and tonic or fat from the barbecue can be easily washed off without soaking in, like they would with natural wood. Best of all composite decking is so easy to maintain. All it needs is a power wash a couple of times a year; no painting, staining, sealing or treating required as is the case with timber decking. When it comes to designing and installing a deck in your garden, the Bude windows team have all the knowledge and experience to make sure they do a professional job. We’ll craft a deck to fit your requirements – quite literally – for whatever purpose you have in mind. Non-slip composite decking is ideal for a wide variety of applications, such as verandas, balconies, caravan decks, roof terraces, pool surrounds, raised paths, jetties and all sorts of outdoor features. We use only the best quality composite decking systems chosen according to your budget, taste and colour preferences, and can include balustrades and railing as desired. We’re in the business of improving and enhancing your home and lifestyle, and we take great pleasure in doing so. 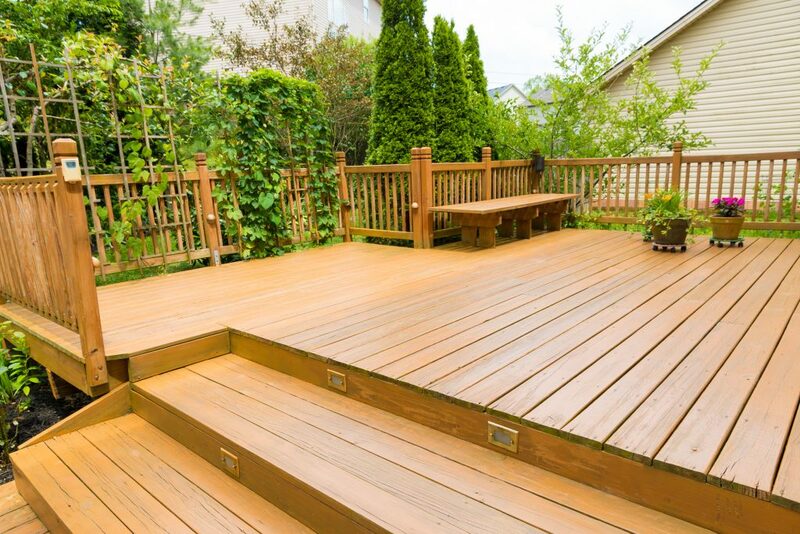 If you are dreaming of a deck, contact us to arrange a free consultation and quotation. Our composite decking boards are environmentally friendly products made from reclaimed wood and recycled plastic using the latest and innovative technologies. They combine the best feature of natural wood and durability of plastic. They are a great alternative to wood. To find out more about decking or to discuss an estimate, call us today. Look, feel and work like natural wood – it can be sanded, sawed, cut and screwed. 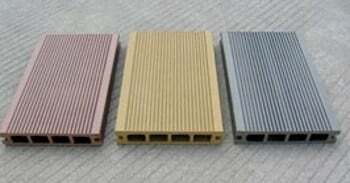 The non-slip boards are ideal for a variety of applications, including balconies, verandas, garden decks, caravan decks, roof terraces, Spa, pool surrounds and marinas. Bude Windows & Conservatories Ltd, registered as a limited company in England and Wales under company number: 04633898.